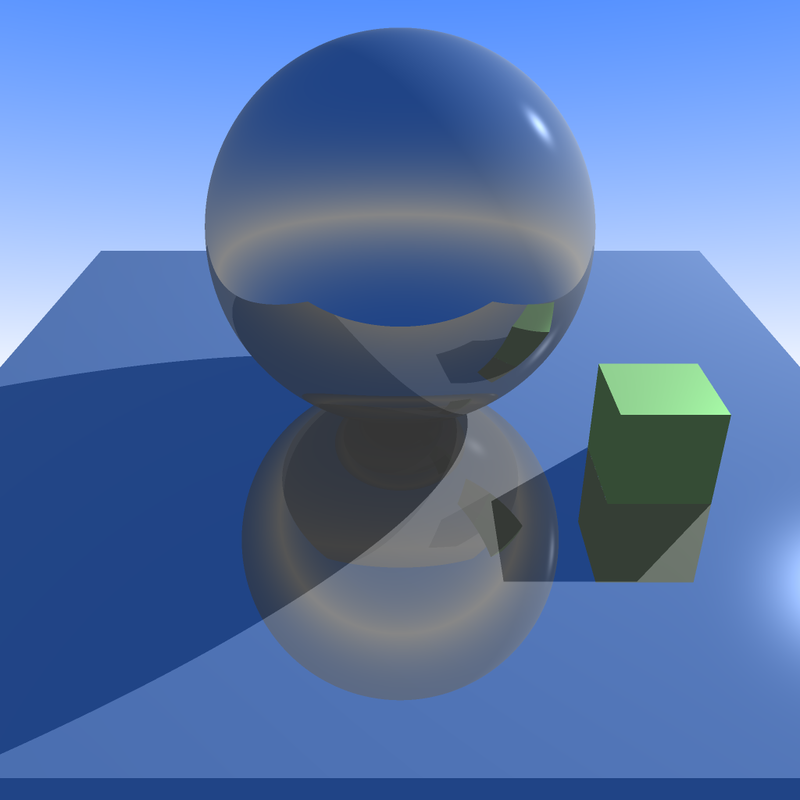 For my CS 488 final project, I improved upon the ray tracer I built for a previous assignment to include advanced effects and optimizations. I started with the goal to build a renderer that can imitate the art style of the artist k3, who specializes in colorful and fun 3D renderings. 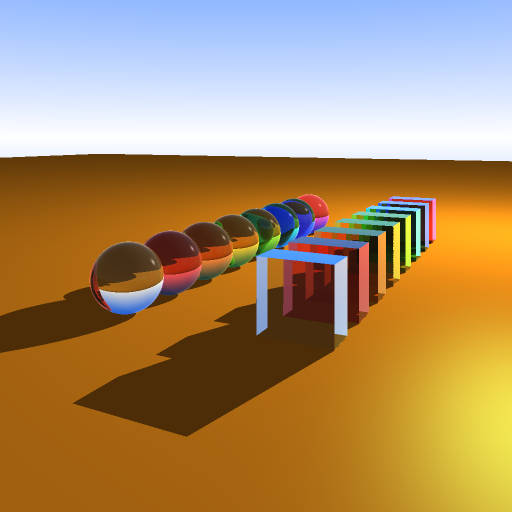 Caustics were not implemented due to lack of time. Soft shadow with area lighting size 1, 8 samples. 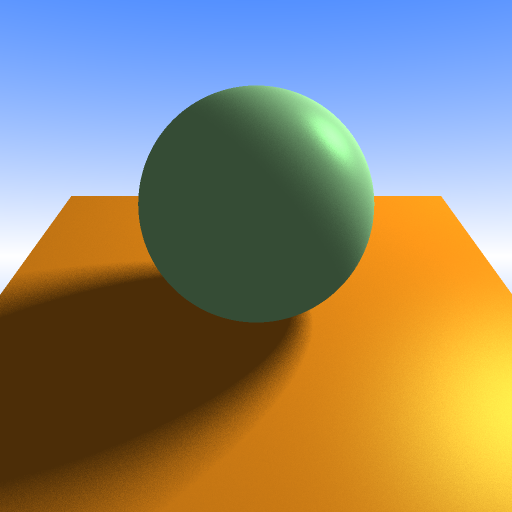 Soft shadow with area lighting size 2, 32 samples. 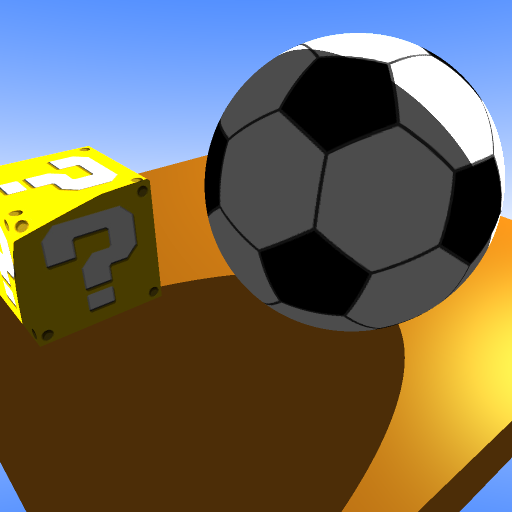 Texture mapping of cubes and spheres. 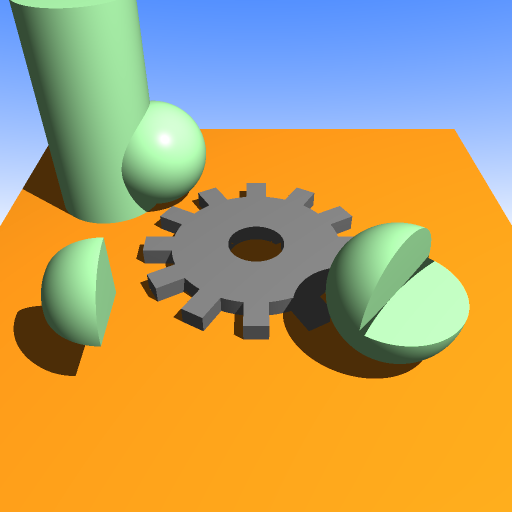 Constructive solid geometry was implemented, supporting union, intersection, and subtraction of cube, sphere, cylinder, and cone primitives. Rows of cylinders and cones. Not completed due to lack of time. Uniform spatial partitioning can be enabled for each individual mesh object. 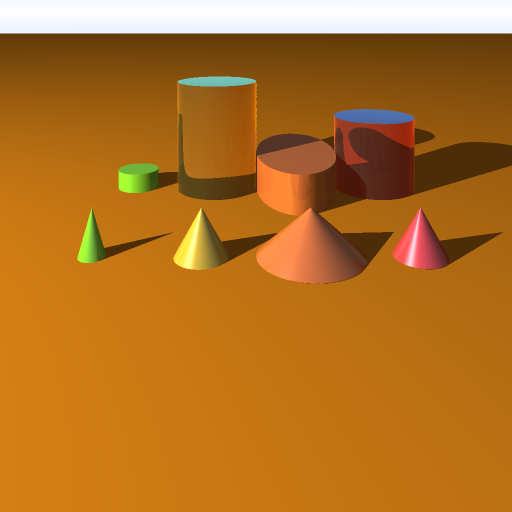 The following scene (from A4) contains 3 cow models, each with 5804 polygons. This scene was rendered with increasing number of partitions to compare render time. 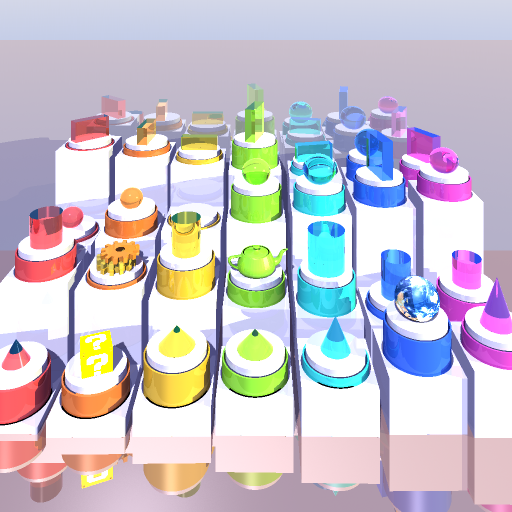 All renders done with bounding box optimization, 8 threads and no supersampling. 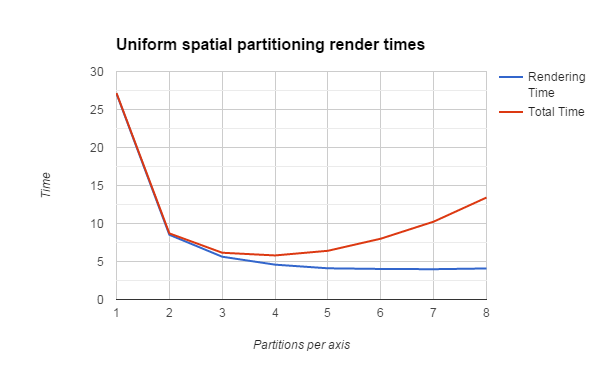 This graph shows rendering and total time as the number of partitions increases. Total time = render time + preprocessing time. 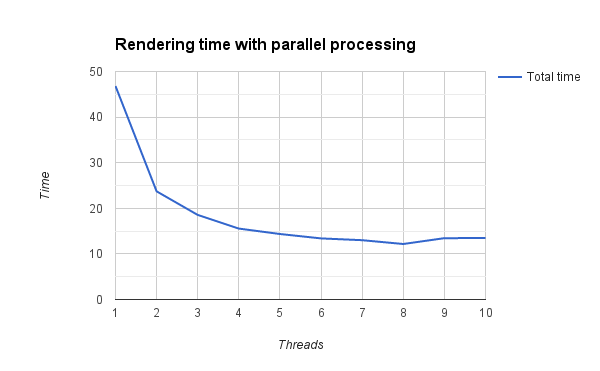 We can see that partitioning the model into 2x2x2 partitions had huge benefits, but there is diminishing returns after that, and eventually the increase in processing time outweighs the improvement in rendering time. This is my final scene. Inspired by artworks by k3. The following is the same scene rendered at a larger size. Unfortunately, this rendering didn’t finish until past the submission deadline. With Schlick’s approximation. Notice the reflection on surfaces when the view angle is shallow. Rendering time with parallel processing. I know it’s been a while since I last updated Tenshi, but university just started and I didn’t have as much free time as before. Anyways, I’ve put together a relatively major update for the Tenshi Pet. I added dual screen support that Michael requested, and some new features (see change log). Also, I decided to just use mediafire for all my file hosting, since it’s more reliable and less hassle than free web hosts. For those who didn’t read the post a few days ago: you also need to install the font here. – Tenshi is more.. jelly-like? idk if this makes it better, but I think it looks funnier this way. – Fixed the error that some people encountered when opening the Stats window. – “No Way That’s Impossible” is more possible now. 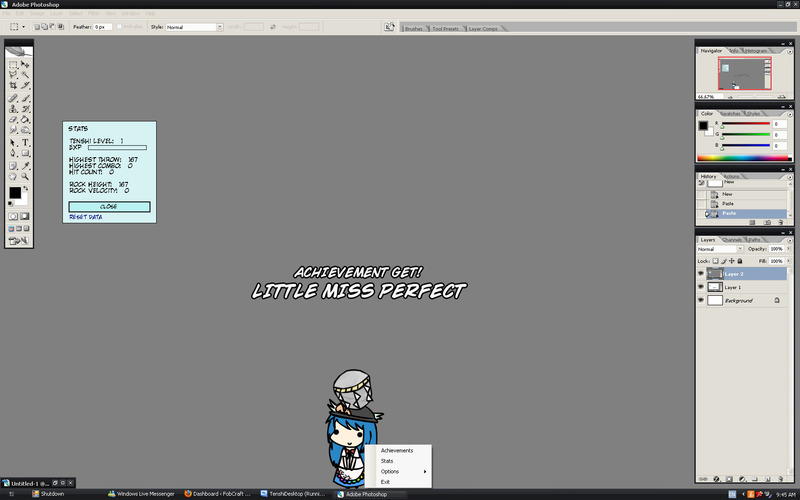 Walfas Pet Tenshi Desktop Version! – Tenshi might get stuck, period. There are probably a lot of other glitches, leave a comment if you find a new one… Actually, nvm, I don’t really want to fix them. 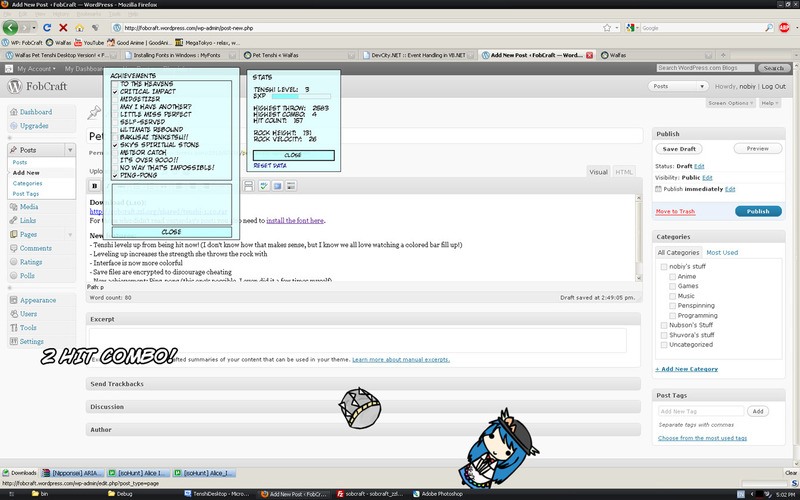 – Credits to KibyM and Thefre for their brilliant idea and the original flash game. – Also thanks to the various online resources that I used, and google which helped me to find them. Yesterday I felt like learning a song to play on the piano, so I spent half a day listening to Touhou piano arrangements. At first I decided to try Voyage 1970, but that didn’t go too well D= (216bpm is impossible…). However, that somehow lead me to discovering kkcwkoh’s channel where I randomly clicked on this song. This song instantly caught my attention because I’ve always been a fan of mysterious-sounding music, and after listening to it many times, I decided to transcribe it. It’s a pretty easy song especially compared with other Touhou music, so I recommend piano novices like me to try it out. Did this transcription some time ago. Original song by DenKare (short for 電気式華憐音楽集団). It’s not a well-known band, but for those of you that like Yousei Teikoku (妖精帝國), you’d find the vocal really familiar, because both bands feature Yousei Yui as the vocalist. The song’s from “Gore Screaming Show”, which is a pretty disturbing visual novel by the looks of it. But anyways the song is good. Theme of Payon is one of my favourite songs in Ragnarok. It brings back such good memories of when I played RO with my friends (it’s not as nostalgic as theme of Prontera though, since I spent hours and hours vending in Prontera so that song is like, more familiar to me than the windows XP startup sound). MintJam, one of my favourite bands, did an awesome piano arrangement for Theme of Payon in their 2004 Ragnarok Online Arrange album. Awesome band + nice song = perfect song. Since this song is so good and is all in piano, I decided to transcribe it so I, as well as other people interested, would be able to play it on the piano. I made some inserts for pen modding for those penspinners out there that are also Touhou fans. The sizes are for RSVP, but you can probably crop it a bit to fit other pens. Sorry for the lack of color on some of them — I made them with my printer’s ink in mind. Thanks to the creators of these images, and also konachan.com for allowing me to find them easily. However, I’ve been working on a game programmed in Java. It’s a defense game based on the Korean mmorpg Ragnarok Online, and inspired by Twilight Frontier’s Patchcon. I’ve actually been working on this project since two years ago, in the process taking months-long breaks and never got much done. But I’ve decided to finish soon. In fact, it’s already playable, just that there are many bugs to fix and things to add. The sprites and effects are made by Shuvora, and he’s lazy so a lot of stuff are missing sprites which I used an Alice sprite from Patchcon. I uploaded the game on http://fobcraft.uuuq.com/rts/ Take a look if you’re interested (it’s an Applet, runs in your browser). So I decided to resurrect Fobcraft as a place to keep track of my progress on the game.